Turkmenistan President Gurbanguly Berdymukhamedov. Photo: Kremlin Pool / Zuma Press / PA Images. 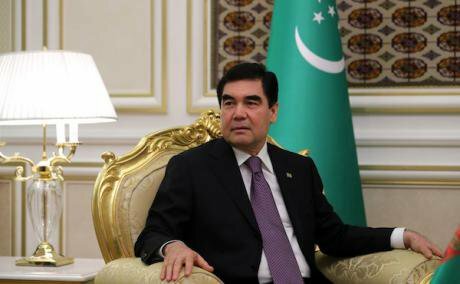 All rights reserved.New documents obtained by openDemocracy can today reveal how Turkmenistan's regime is spying on its citizens abroad, in order to scrutinise who they are in contact with and what they post. The documents, which comprise the period between 2008 and 2014, also reveal the key role Turkmenistan’s Embassy in Turkey has played in spying on Turkmen citizens in that country. According to Freedom House, Turkmenistan is one of the world’s least free countries, where the flow of information is severely restricted and tightly controlled. Since 2006, the Central Asian state has been part of Reporters without Borders’ list of “enemies of the internet”. Having an internet connection is punishingly expensive and satellite dishes have been dismantled. Turkmen Telekom, the only internet provider, is run by the government. Facebook, Twitter, Youtube, VKontakte have all been blocked, alongside numerous news websites. In the mind of the authorities, censorship helps to guarantee political stability and the durability of the regime by controlling what information Turkmen citizens have – or, more accurately, don’t have – access to. However, the new documents seen by openDemocracy reveal how the regime is attempting to track its citizens abroad, as well as at home. With Turkmen students present in significant numbers at institutions in Russia, Belarus and Ukraine, it is legitimate to wonder whether the Turkmen Embassies in those countries exercise the same degree of control, too, and whether this practice continues to this day. The system is simple, if laborious. The education attaché at the embassy requests a complete list of all Turkmen students from Turkish universities, as well as the courses they are enrolled in. This information is entered into Excel files – some of which have been obtained by openDemocracy – along with the students’ date of birth, passport number and permanent address in Turkmenistan. The data is then passed on to informers, themselves Turkmen students who are lured into collaborating with the government in exchange for financial aid. According to the documents, there is one designated informer per university dormitory who is assigned a list of students to spy on. Informers work independently and do not know the identity of other informers. They fill in their own entries in the Excel files, which are then sent to the embassy and on to Ashgabat, in a constant back-and-forth of information. According to Kerim, one of the informers reached by openDemocracy, Ashgabat would often show an interest in students’ grades, course attendance and progress in their studies. This is confirmed in some of the entries in the Excel files, where it was noted that a ‘student has received low grades, therefore he should be questioned,’ while another student ‘tries to be good in his studies. He is under my control.’ But something more sinister lies behind this innocent facade, as not performing in one’s studies is interpreted in Ashgabat as engaging in extracurricular activities, which is why one of the informers’ tasks is to gauge students’ political and religious orientations. As is often the case, however, spies end up being spied upon. It so happened that, since returning to Turkmenistan after finishing his studies, Kerim has been harassed by the authorities, who accused him of having been part of the Gülen movement, too, and of writing articles for foreign media outlets. Others have had it worse. In June 2018, RFE/RL ran a story about a Turkmen student in Turkey, Omriuzak Omarkulyev, who was invited to visit Turkmenistan to take part in various events in the country, including addressing parliament, as the authorities were said to have been impressed with his activism at his Turkish university. Omarkulyev is now being held at the notorious Ovadan-Depe prison in the Karakum desert. 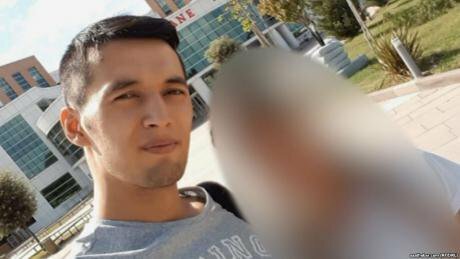 Less than two weeks later, RFE/RL’s Turkmen service reported that several people living and studying abroad who had returned to Turkmenistan on the authorities’ invitation had also been detained. If the Turkmen government’s arm abroad is long, at home it appears to be ubiquitous, as it has effectively eradicated any form of opposition to the regime and ended all free media. Recently, the hunt is on for anyone commenting, sharing, liking and following Turkmen news sites from abroad such as Prague-based RFE/RL’s Turkmen service Azatlyk, Vienna’s Chronicles of Turkmenistan, and the Dutch-based Alternative Turkmenistan News, which are the only remaining outlets reporting on daily events inside Turkmenistan. Reports indicate that readers of these news sources have been warned during interrogations that, since these sites remain banned in the country, reading them constitutes a crime. They are being questioned as to why they visit those sites, whether they regularly follow their news and whether they give information to them. Azatlyk disclosed that social media users have received calls directly to their mobile phones by the authorities and, at times, have even received a visit at home. This comes against the backdrop of a fast-deteriorating economic situation in the country with food shortages and soaring unemployment, which have the government increasingly edgy about any potential source of dissent, including online. Recently, the State News Agency of Turkmenistan reported that the vice president of Rohde und Schwarz, a German technology company, had met Turkmen president Gurbanguly Berdymukhamedov. While the official reason for the encounter was trade, activists and Turkmenistan-watchers fear that the government’s real aim is to obtain devices to monitor and block mobile and satellite communications, as well as internet access. Because of this, Human Rights Watch called upon Rohde und Schwarz to disclose its dealings with Turkmenistan in order to guarantee accountability. Apart from cutting-edge technology, the Turkmen intelligence services still resort to threats and physical violence to extract information – and, sure enough, money – from people. In a country with no rule of law to speak of, people are threatened with all sorts of consequences – they may not be able to travel abroad ever again; their children may be kicked out of school; a relative may lose their job – for them to snitch on the internet habits of family, friends, and acquaintances. Useful information includes whether they know someone who uses VPNs to access the internet – and what websites they visit. Students studying at a foreign university and spending their summer breaks at home are also an easy prey, especially if they need to renew their passports. However, one Ashgabat resident told openDemocracy that people targeted include those whose behaviour or appearance seem to deviate from the norm – especially when it may be interpreted as an outward expression of religiosity. So, for instance, if someone grows a beard or refuses to drink alcohol at wedding parties, often they will be summoned for interrogation shortly after. There, they will subjected to severe physical and psychological pressure, including torture, to make them comply with the intelligence services’ demands: either you report on people who speak against the government, online or otherwise, or you will spend 25 years in prison for terrorism. In the end, whether at home or abroad, on- or off-line, one thing seems certain: the Turkmen government is out for any and all information about its citizens, and will go to any length to get it.